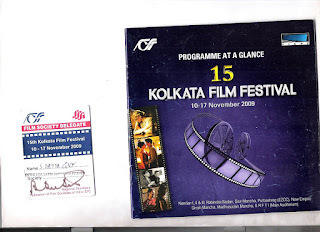 Like every year this years film festival was held on November 10 -17, 2009. 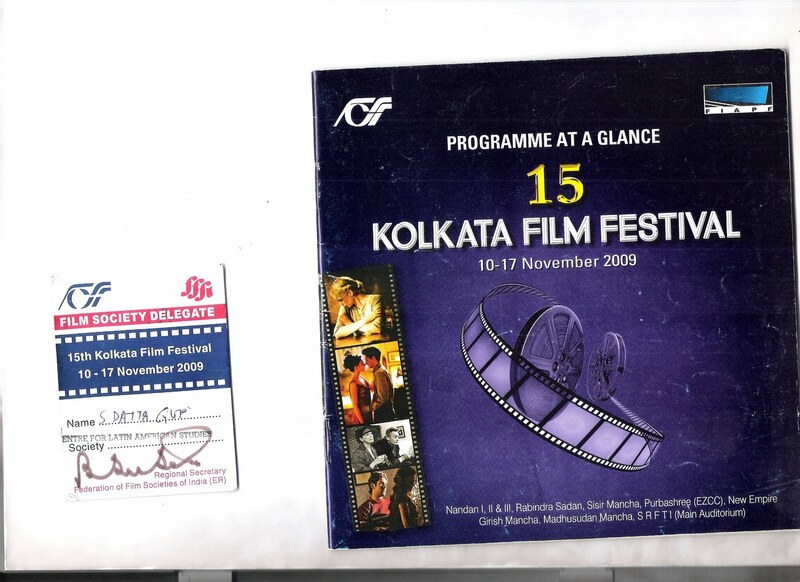 As usual I got the passes from my Centre for Latin American Studies.I saw number of movies. The yellow House - Amor Hakkar of Algeria - revolves around a small village of Algeria where there is no electricity. The story/screenplay written by Hakkar is simple: a poor Algerian agrarian family, who survives by growing and selling potatoes and vegetables, deals with grief following the untimely death of the eldest son in an accident. Sociologically, the film criticizes the lack of electricity in some villages of the oil rich country and yet commends the quick remedial, intervention when lapses are brought to the notice of the Algerian government officials. The film is not about economic injustice or government apathy; even though these real issues are present in the backdrop. In the forefront of this wonderful film are issues that are more universal: strong family bonds between husband and wife, between father and children, dead and alive. The first half of the film deals with the impact of untimely death of the farmer's eldest son in an accident while serving in the police force and the father’s journey to Batna to identify and collect the mortal remains. The second half deals with the husband’s dogged plan to bring the shattered life of his wife to normalcy with the help of a video recording made by his son before his death. A pharmacist is asked by the farmer for some medicine to cure his wife’s depression from the tragedy, and the well-meaning pharmacist who has heard of a cure (painting the walls of his house yellow) that shares that information with the farmer. Ordinary individuals, who could easily have been indifferent to a poor man, go out of the way to lend a helping hand to man coping with grief. Would such good deeds happen in real life, one could well ask. No where in Africa - Caroline Link of Germany - This is without doubt the best movie I saw in the film festival . Horn of Plenty - Cuban filmmaker Juan Carlos Tabío uses laughter to explore the socio-economic difficulties facing his homeland in this comedy concerning the chaos that unfolds when word spreads that the Castiñeiras family is set to receive a sizable inheritance. Cuban filmmaker Juan Carlos Tabío uses laughter to explore the socio-economic difficulties facing his homeland in this comedy concerning the chaos that unfolds when word spreads that the Castiñeiras family is set to receive a sizable inheritance. When Yamaguey resident Bernardito (Jorge Perugorría) first receives word that the Castiñeiras family is about to receive a large inheritance, he's understandably skeptical at first. Upon checking the internet and discovering that news outlets across the globe are reporting the bizarre development, however, his hopes finally begin to rise. It appears that a group of 18th Century Castiñeiras nuns had quietly deposited a large treasure in a British bank, and that the already substantial sum has been acquiring interest ever since. The authorities estimate that each family is set to receive millions, an announcement that has Castiñeiras all across Cuba lining up to prove their eligibility. But considering the fact that there are two separate Castiñeiras bloodlines, which one is entitled to receive the inheritance? In the case of Miguelón, a somewhat slow villager who has had his eye on town beauty Yurima since childhood, the announcement that he is now filthy rich could prove pivotal in helping him get the girl he's always pined after. Later, after the two become engaged and embark on a lavish spending spree, a new development sends the situation spinning in a wholly unanticipated direction.